Similarly to represent 3x2 matrices you need 2 two dimensional array of one dimensional array of length 3. In other words, each row in two dimensional array is a one dimensional array. Java truly doesn't support multi-dimensional array but allows you to create and use array of any number of dimensional. Two dimensional array is actually an array of one dimensional array. This is unlike languages like C or FORTRAN, which allows Java array to have rows of varying length i.e. a multidimensional array can have 2 columns in one row and 3 columns in second. Similar to one dimensional array, length of two dimensional array is also fixed. You can not change length of any array, i.e. number of rows and columns will remain fixed. A 2x2 array can hold total 4 elements and they can be accessed using row and column index e.g. a will give you elements in first row and first column, similarly a will give you elements from 2nd row and 2nd column. Just like normal array, index start at 0 and finishes at length -1. By the way when you initially declare a two dimensional array, you must remember to specify first dimension, for example following array declaration is illegal in Java. This is possible because a two dimensional array in Java is nothing but an array of one dimensional array, because of this, you can also create a two dimensional array where individual one dimensional arrays has different length, as seen in following example. In this example, you can see that salutation is a 2D array but its first row has 3 elements while second row has just one element. You can access elements of a two dimensional array either by using both indexes or just one index. For example salutation represent a Single String in Java, while salutation represent a one dimensional array ( a single row in the 2 dimensional array). So far we have just declared and created the array, we haven't initialized them. Which means all elements of array has their default values e.g. zero for array of integral values e.g. byte, short, char and int, 0.0 for floating point array e.g. float and double, false for boolean arrays and null for array of reference type e.g. String array elements. You can verify this by accessing first element of two dimensional array as multiples, which will print zero, as shown below. You can see default values of different types of primitive arrays here. Character array is bit tricky because if you print 0 as character it will print a null character and that's why I have used it's integer value by casting to int. Now there are two ways to initialize a two dimensional array in Java, either by using array literal at the time of creation or by using nested for loop and going through each element. In next example we will learn how to loop through a two dimensional array, initialize each element and how to print a two dimensional array in Java. In first example, we have created and initialized String array using array literal, while in second example we have created a two dimensional array board, and later initialized it by looping through the array. If you want to access each element of a two dimensional array, then you need to iterate through two dimensional array using two for loops. Why? because you need two indexes to access individual element from 2D array. You can either use advanced for each loop or classic for loop with counter. Second one is more powerful as it provides explicit counter which can be used as indexes. In order to print contents of a two dimensional array, you can either use this method or can use Arrays.deepToString() method, which will return a String version of all elements of a 2D array, as shown in following example. * Java Program to initialize and print two dimensional array in Java. 2) Because of above reason, second dimension in array is optional in Java. You can create a two dimensional array without specifying both dimension e.g. int is valid array declaration. It also allows you create multi-dimensional array whose rows can vary in length, as we have seen in our second example. 3) While creating two dimensional or three dimensional array in Java, first dimension is must, without that compile will throw error e.g. int is Not Ok but int is Ok.
4) Two dimensional array is very useful data structure in game programming. You can use it on tile based game e.g. Super Mario Bros to draw terrain, background and other object, on games like Tetris to represent playing area. 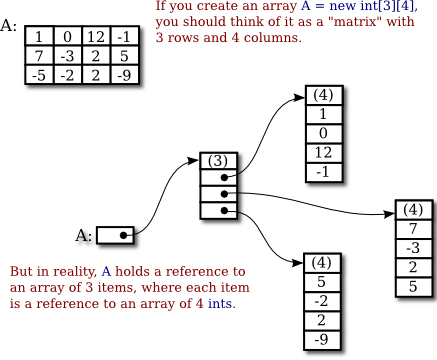 2D array is also very useful in matrix manipulation. You can use 2D array to represent any matrix and perform addition, multiplication and other operations. 2D array can also be used to represent any object in plain using X and Y coordinate. Similarly 3D arrays can be used to represent things in three dimensional space using X, Y and Z coordinates. 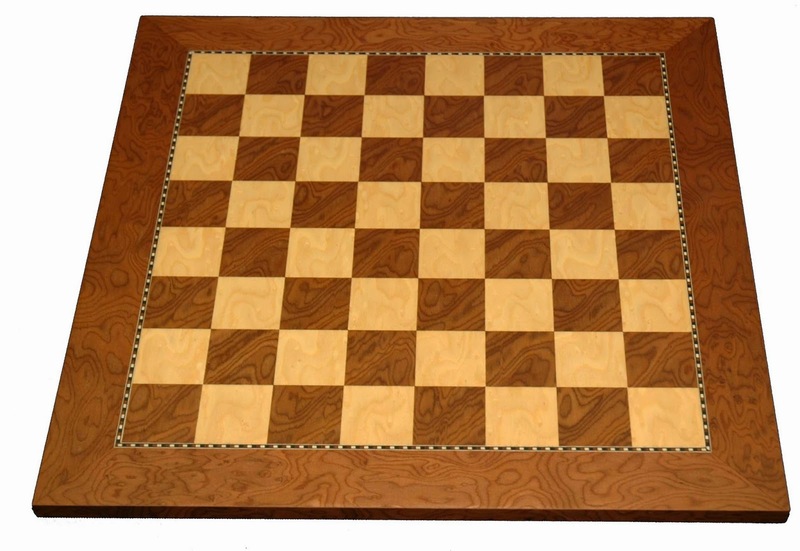 Some of the popular example of two dimensional arrays are chess board, checkers board and other board games which has slots. You can view chess board as an array of 8 rows and 8 columns. 5) There are multiple ways to define and initialize multidimensional array in Java, you can either initialise them using in the line of declaration or some time later using a nested for loop. You will need as many for loop as many dimension of array you have. For example to explicitly initialize a three dimensional array you will need three nested for loops. On other hand, to initialize a 2D array, you just need two nested for loops. 6) In a two dimensional array like int numbers = new int, there are three rows and two columns. You can also visualize it like 3 integer array of length 2. You can find number of rows using numbers.length and number of columns using numbers.length expression, as shown in below example. This is also very useful while iterating over two dimensional array in Java. That's all about multi-dimensional array in Java. It is one of the useful data structure, especially to represent two dimensional things e.g. matrix. It is also very useful to build tile based games. By the way, It's worth to remember that Java doesn't support true multi-dimensional array, instead they are represented as "array of array". Can you create 2 dimension array even when each sub array are not of equal lenght? Ye you can. A 2D array is an array of arrays. Those arrays don't have to be of the same length. You can see that our 2 dimensional array contains 3 sub array each with different length 10, 20 and 30. Is it possible to create hetrogenous two dimensional array in Java? Since 2D array is array of array, can I have array containing String, Integer  and Object as sub array? You can see that our Object is heterogeneous, it contains String, Integer and Float all in one Object. so how can we get data? square = 3? so how can we get an element? square = 3? so how we can get all above data like string,integer,and float?? Hello Sameera, Similar to above example you can write nested loop, first will go through each row and second will go through each column. This way you will access all elements of matrix e.g. first row first column, [0[ first row second column and  first row third column. How to code this using two dimensional array in java? This is the output. It has sets of information like id, name, place seperated by a special char. Each set is again seperated by another special char. Iterate over the arrays and display the information in the following format. The solution to this problems should be generic. Note : Do not use any JAVA API to get the output. Use only loops and conditional statements. how can i use 2d array in writing a code for login & registration details using only basic java knowledge? Prompt the user to enter array length. The Program will now store Double typed numbers and will get the average. Ask your user to enter table dimensions. The user will save characters according to the size of the table. Display table items and create search item query, asking your user to enter table address. Now how to initialize it? How to initialize a global array in which number of columns varies? How to initialize it if I don't know the number of columns at present? Hello @Akshay, you can do this with two dimensional array where just first index is mandatory but with one dimensional array you must specify number of items. You can see my post 6 ways to declare two dimensional array in Java for more details. How do you fill a 2-D Array? Hello @Anonymous, you can do this by using a 2 dimensional for loop, first loop will fill the rows and second will fill the columns.